My brother and I have always shared a love for over-the-top buttery treats. He was the first person to come to mind when I created this indulgent brownie. 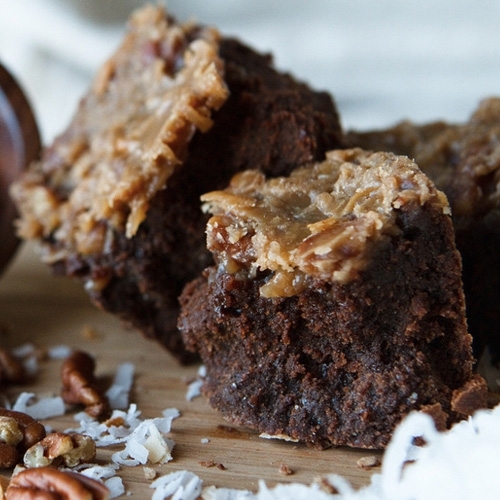 I start with my Classic Chocolate brownies, and top them with a rich, caramel crust that’s loaded with fresh coconut and pecans. The result, a batch of delicious, buttery German Chocolate brownies.